The recent Boston Marathon bombings and the federal government's successful response in the case calls for kudos from every sector of our population. Yet, the quickly developing story regarding the handling of the investigation and reaction to the Russian FSB's prior referral of intelligence regarding Tamerlan Tsarnaev's suspected ties to radical Islamic elements exemplifies, once again, why our country's "Homeland Security" arsenal is in dire need of an overhaul. As reported to date, the FBI is under the microscope for apparently not doing enough with the information that it received that an identifiable suspected radical Islamic foreign national was in our midst. While it must be presumed that the Russians did not give our intelligence services their Human Intelligence resources (covert operatives or cooperating individuals who would likely be the source of information and possible eyewitnesses to Tsarnaev's activities), and that they would have only shared that which they deemed necessary, the FBI admits that the Russians shared enough information to trigger a preliminary investigation; an investigation, almost certainly, by the Boston Joint Terrorism Task Force (JTTF). The way such investigations are conducted has been widely reported and discussed before. Yet, guaranteed to have been an issue would have been the classified status of the information that the foreign intelligence service provided. That alone would have limited the dissemination of the information, whether or not the Russians themselves demanded such a limitation. More importantly, it would have greatly limited what the United States Attorney's Office and the Department of Justice might be able or willing to do with whatever was developed. The simple reason for this would have been that the use of any of the classified evidence would have triggered the Classified Information Procedures Act (CIPA) and the onerous requirements that it imposes on federal prosecutions. Instead, the immigration laws of this country should have been employed not only to shut Tsarnaev down before he acted, but ultimately to have rid our country of the threat that he posed. As reported, Tsarnaev was in the United States as a Lawful Permanent Resident (LPR) alien and was still in process in regard to his application for citizenship. Based on the Russian lead that prompted a preliminary FBI investigation into Tsarnaev's possible involvement in terrorist activity, Tsarnaev was thus arguably amenable to, at a minimum, deportation charges. Sections of the Immigration and Naturalization Act (INA) allow action against an alien who the Attorney General or the Secretary of Homeland Security had reasonable grounds to believe is likely to engage in any terrorist activity, or as an alien who endorsed or espoused terrorist activity. These charges are far reaching and can be broadly interpreted to cover a wide variety of conduct as has been proven in prior cases involving such matters as espionage. He was also ineligible for citizenship for the same reasons, and his application for citizenship would have automatically been rejected had the government charged him and placed him in removal proceedings before an immigration judge, pursuant to section 318 of the INA. This would be especially true if an investigation revealed Internet/Facebook activity that included anti-American and/or terrorist support postings, or his Internet searches revealed an interest in bomb making, or he was involved in high volume firearms and/or ammunition purchases, among other things. Once charged, he could have been taken into custody and his ability to even seek release would have been severely limited since, for instance, an immigration judge would have no jurisdiction to reconsider the conditions of custody based on existing federal regulations. Tsarnaev would have had even less rights because he departed the United States and went to another country, if such actions and related actions had been taken prior to his attempt to re-enter this country. All of this could have been accomplished without the use of much if any of the classified evidence. Yet, in this case, none of this was apparently done. Perhaps, none of this was even considered. So Tsarnaev, with his brother, remained free to apparently commit the unprovoked and clearly unforgivable atrocities that he did. Thus, while the FBI's handling of Tamerlan Tsarnaev should be looked at, Congress should not stop there. The specific actions – and perhaps specific inactions – of another department of the United States government must be scrutinized. The department that handles not only the grant of immigration benefits to foreign nationals; but the one that is also supposed to use its very impressive arsenal of laws and authorities to protect this nation against undesirable foreign nationals. 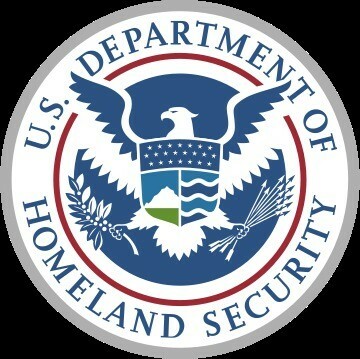 The Department of Homeland Security. Dan Vara was the INS District Counsel, United States Department of Justice, in Miami, Florida from 1990 until 2003. He was also the ICE Chief Counsel, United States Department of Homeland Security, in Orlando, Florida from 2003 until 2006. As the highest ranking federal immigration attorney in the State of Florida, he was at the forefront of many significant immigration enforcement matters involving counterterrorism and counterintelligence. He was also an instructor on such matters at INS, ICE and FBI conferences. He is now in private legal practice in South Florida. Question to Dan Vara re: "Immigration Reform"
How do you believe Immigration Law would best be "reformed", and should there be amnesty. Where does the number "11 million illegal aliens" come from, and is it accurate? It is really sad that the proper procedures were not followed and that this negligent action has cost our Country and the injured and maimed victims pain and all types of personal limitations that will be part of their lives for as long sas they live.